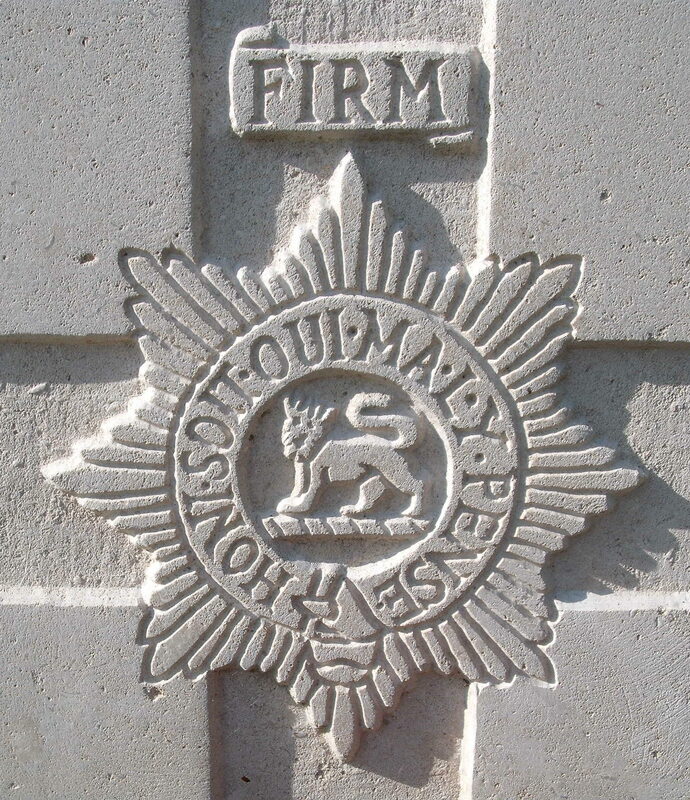 3rd Bn, The Worcestershire Regiment, 57th Brigade, 19th Division, B.E.F. The son of Oswald Cotterrill, a carpenter of Providence Cottage, The Old Wyche, Oswald Arthur Cotterrill was educated at the Wyche School. As a pre-war Territorial of six years service, he served overseas with the 1/8th Battalion from April 1915. He was wounded in the fighting around the Butte de Warlencourt in November 1916 and was (presumably) invalided home. After his recovery he was sent out to France to join the 4th Battalion; but later served with the 3rd Battalion. The award of his Military Medal was reported in early July 1918 (he probably received the award for an act of bravery at the Battle of the Aisne in May 1918) though it was not gazetted until October. He died of illness, possibly as a result of the ‘flu epidemic that swept through Europe at that time, on the 23rd October 1918. His address at this time was given as Grove Cottage, Westminster Road, Lower Wyche. His death was reported in early December. The area around Etaples contained large concentrations of Commonwealth reinforcement camps and hospitals. It was remote from attack, except from aircraft, and accessible by railway from both the northern or the southern battlefields. In 1917, 100,000 troops were camped among the sand dunes and the hospitals, which included eleven general, one stationary, four Red Cross hospitals and a convalescent depot, could deal with 22,000 wounded or sick. In September 1919, ten months after the Armistice, three hospitals and the Q.M.A.A.C. convalescent depot remained. The cemetery contains 10,769 Commonwealth burials of the First World War, the earliest dating from May 1915. The cemetery, the largest Commission cemetery in France, was designed by Sir Edwin Lutyens.